Chorus Worldwide bringing the 2D adventure game to Switch. 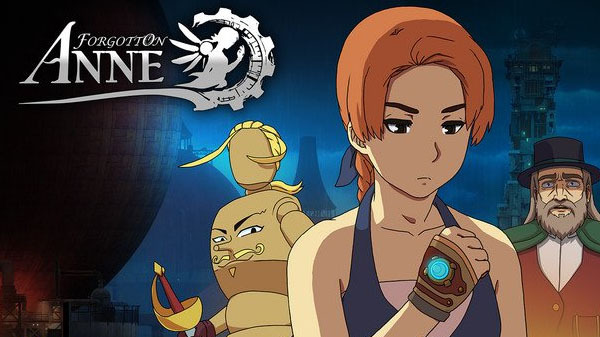 Forgotton Anne is coming to Switch in spring 2019, the latest issue of Weekly Famitsu reveals. The Square Enix Collective-published 2D adventure game, which launched digitally for PlayStation 4, Xbox One, and PC in May, has yet to be released in Japan. Weekly Famitsu reveals that publisher Chorus Worldwide will release the game for PlayStation 4 and Switch in Japan in spring 2019. Enjoy hand-animated visuals created using the same traditional techniques that brought your favorite animated movies to life. The story-driven adventure, set in the beautifully hand-crafted 2D cinematic Forgotten Lands, launched on console and PC back in May. Its forthcoming release on Nintendo Switch means it’ll soon be available on all three major consoles, alongside the PlayStation 4 entertainment system and Xbox One family of devices, including the Xbox One X. The end result is a game critics heaped praise on upon release, with Eurogamer describing it as a “brilliant” game with a “huge amount of heart” in its Recommended review, adding to GameReactor’s assessment that it is “one of the standout experiences of the year” and VentureBeat’s conclusion that it’s a “wonderfully animated adventure”. Forgotton Anne is already available on Steam for £15.49 / $19.99 / €19.99, on Xbox One for £15.99 / $19.99 / €19.99, and PlayStation 4 for £16.00 / $19.99 / €19.99. The game will launch on Nintendo Switch with a 10% discount for two weeks (normal price £15.99 / $19.99 / €19.99).